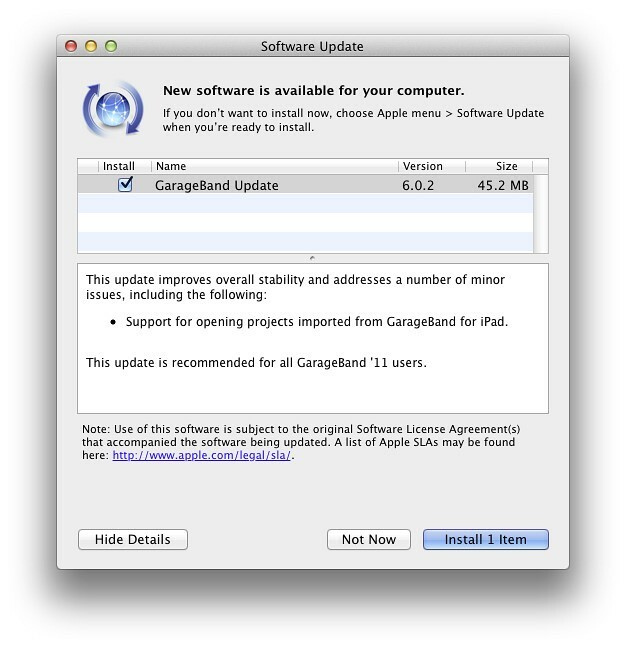 The 47MB update is available now through Software Update or via Apple’s site as a standalone installer. This update improves overall stability and addresses a number of minor issues, including the following:• Support for opening projects imported from GarageBand for iPad. This update is recommended for all GarageBand ’11 users. 7th gen iPod nano might feature a camera?